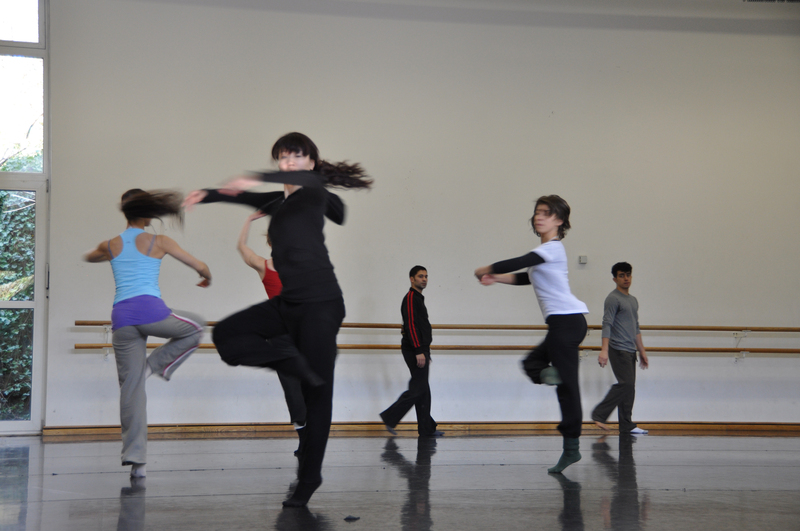 The regular training for professional dancers contains Contemporary dance techniques, Ballet and Yoga in open classes and aims at giving a suitable training to them. Diverse Docents and international Guests will lead the training. Each session 7,50 € / 75 € for a 10 pack card - all prices include 7% VAT. Further dates will be published soon. This Programm is funded by Ministerium für Familie, Kinder, Jugend, Kultur und Sport des Landes NRW und TANZMOTO e.V. Please download the Authorization of direct debiting procedure form and the SEPA direct debiting mandate, fill it and with your signature mail it to TANZMOTO e.V. or hand it over at the Studio. Advise: Please open the form with Adobe Acrobat Reader if you have problems displaying it. By submitting your request, you agree to the processing of your personal data for the purpose of processing by TANZMOTO DANCE COMPANY & TANZMOTO e.V., Auf der Forst 26 A, 45219 Essen, acc. Art. 6 para. 1 lit. b. GDPR. Carlos Sampaio was born in 1968 in Brazil. He got his first dance education in Sao Paulo and continued in 1995 in Germany at Folkwang Universität der Künste Essen. Under the direction of Prof. Lutz Förster, Sampaio started working as a young choreographer during his study. In 2008 he also completed his studies in dance in education. Chrystel is born in Paris on the 26th of July 1971. She studies Ballett with Daniel Franck, Gilbert Meyer from the Opéra de Paris, Modern Jazz with Raza Hammadi, Contemporary Dance and Tai Chi. She attends singing and violin lessons and studies fine arts in the Musée des Arts Déco de Paris. Marjorie Delgado was born in Quito, Ecuador. After her high school dance education at the National Dance Institute she worked for the national dance company of Ecuador. In 1999 Marjorie finished her degree in dance at Folkwang Universität der Künste and a few years later she got a scholarship of the Kunststiftung NRW for an advanced education in New York, USA. Mohan C. Thomas studied at the Folkwang University of the Arts in Essen. He also attended several modern dance, choreography and yoga courses in New York and London. Since 1996 he . has gained professional stage experience, working with renowned choreographers such as Carlos Orta, Rodolpho Leoni and many others. Since 2002 he has been working with Sasha Waltz & Guests. Mu-Yi Kuo is a freelance dancer, teacher and choreographer. She holds degrees in dance from the Chinese Culture University in Taipei, Taiwan and the Folkwang Hochschule in Essen, Germany.